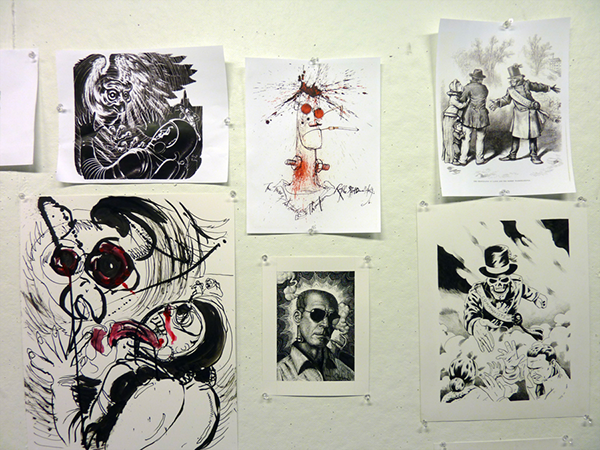 An assignment I created for my Pen and Ink class at the Rhode Island School of Design, where students select 2 artists and create artwork in each other's styles. 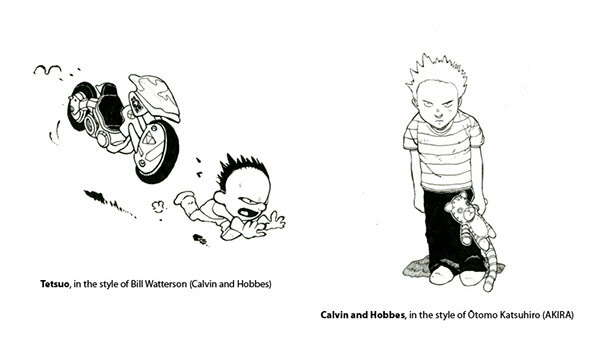 Sample pastiche of Akira Toriyama's work in Moebius (Jean Giraud)'s drawing and inking style, drawn by Antoine Revoy. 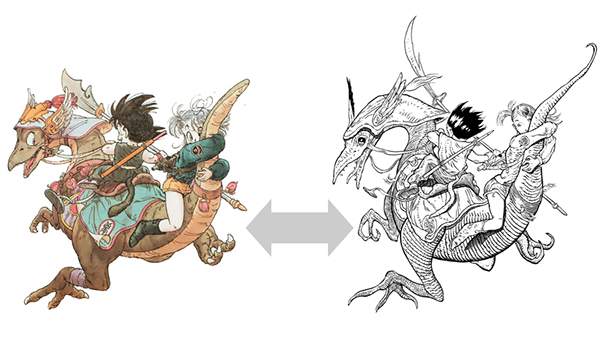 Image to the left © Akira Toriyama BIRD STUDIO. All Rights Reserved. 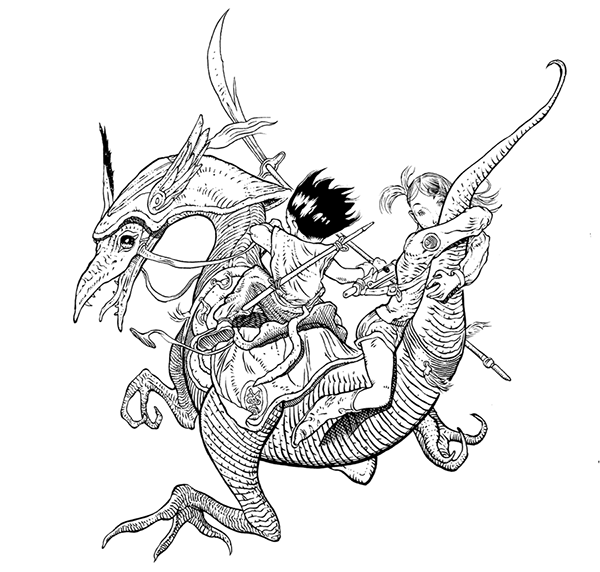 Pastiche of the Moebius illustration ("Stardom") below, in the drawing and inking style of Akira Toriyama. 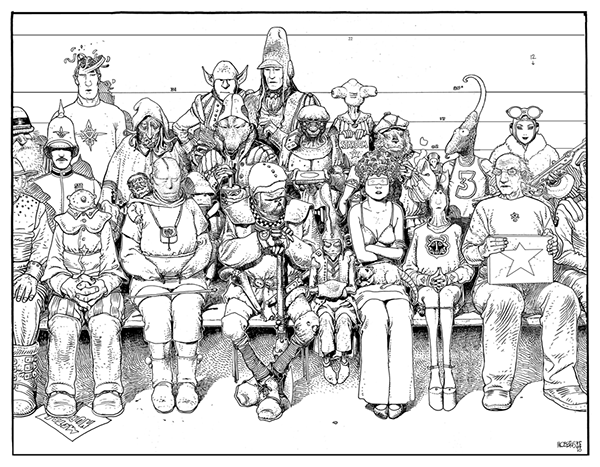 Original drawing © Jean Giraud/Moebius. All Rights Reserved. 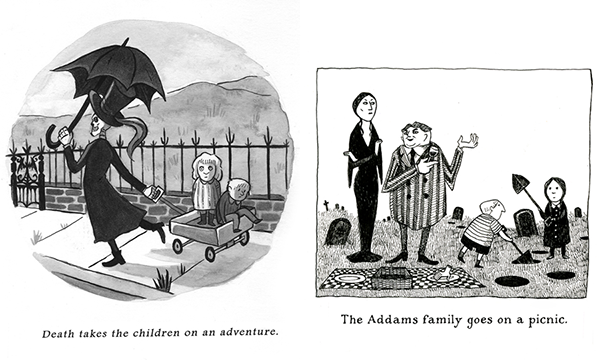 Crossover pastiches—Charles Addams characters in Edward Gorey's style and vice-versa, by student Carolyn Erikson, 2014. 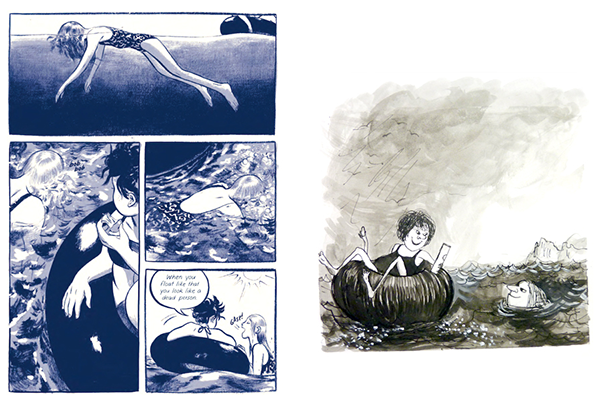 Jillian Tamaki characters (This One Summer) in Ronald Searle's style, by student Ala Lee, 2015. 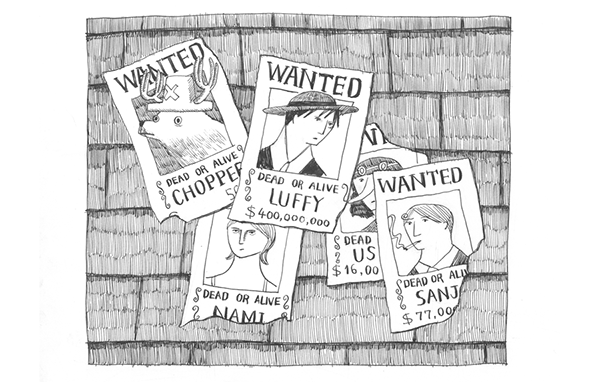 One Piece characters in Edward Gorey's style, by student Min Jeong Kim, 2014. Pastiches by students Dani Ryan and Tom Reilly, 2015. 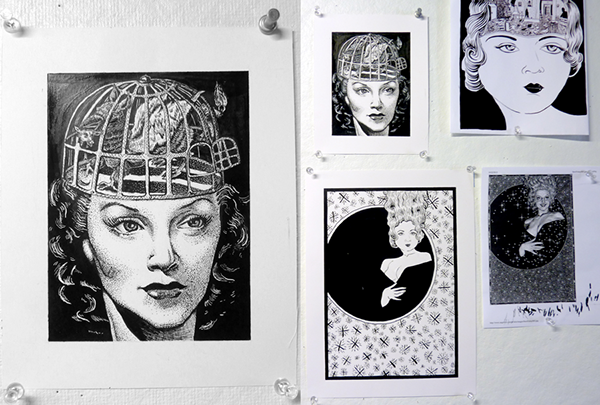 Virgil Finlay pastiches by student Sunny Martensen, 2015. 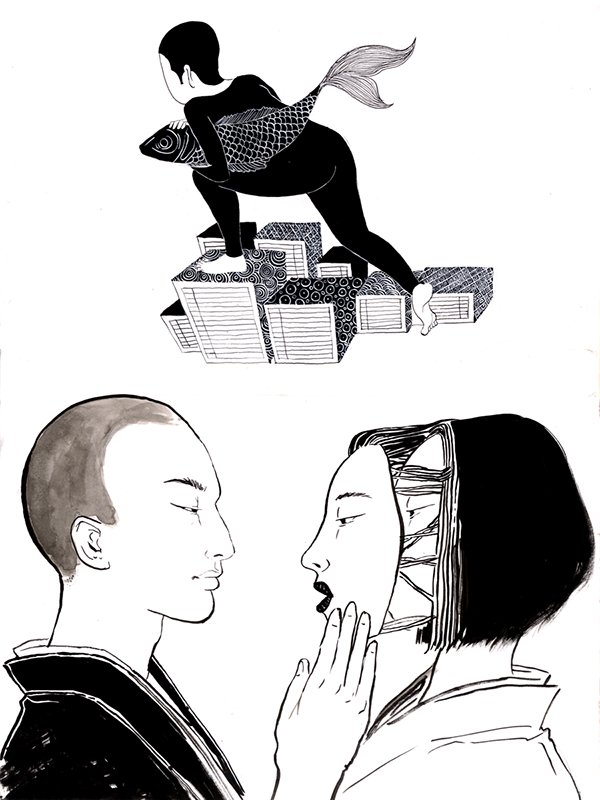 Yuko Shimizu and Moonassi crossover pastiches by student Jiyeon Park, 2017. An assignment I created for my Pen and Ink class at the Rhode Island School of Design (RISD), where students select 2 artists and create pastiches—artwork in each other's styles.